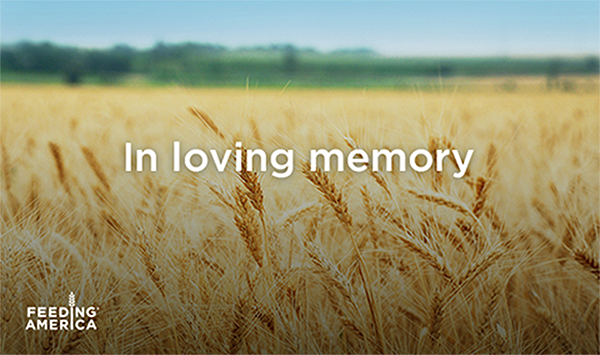 Donate to Feeding America in honor of someone special, and you’ll also make a big difference for families in need. 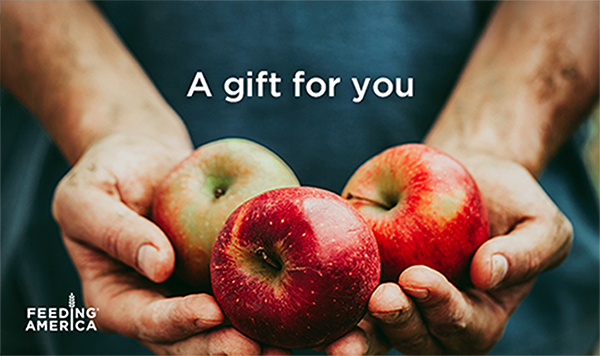 Your special gift today will put food on the table for families facing hunger, and your loved one will receive an e-card to commemorate the difference you’re making together. On behalf of the people we serve, thank you. Prefer to send a card by mail to your honoree? This contribution, made to Feeding America in your honor, will help provide nourishing, healthy meals to families in need. I've made a special gift in your name to Feeding America. Together, we're making a difference for families who don't have enough to eat, all across the country. Feeding America is the nation’s largest domestic hunger-relief charity, with a network of food banks providing food to 46 million Americans each year. 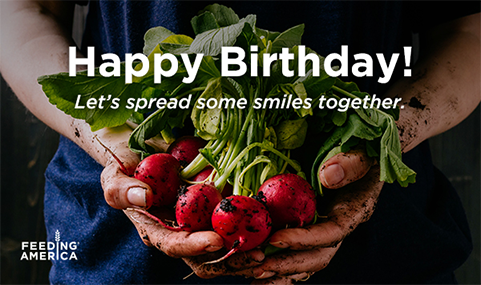 This gift supports Feeding America’s efforts to relieve hunger in the United States. Separate multiple addresses with commas. Limit 10 email addresses. We respect your privacy and do not send unsolicited email to the addresses you enter. You will be taken to PayPal to enter your payment details after submitting the form. Please select a card delivery method.